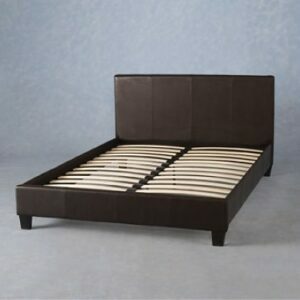 This is a fantastic contemporary faux leather bed frame. 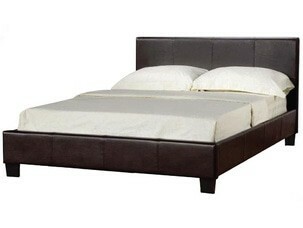 This bed comes in Black and brown faux leather and has a high padded headboard and a low foot end. It has a posture sprung slatted base that has a 5th and 6th leg. It takes standard Size mattress. Please note that this item comes flat packed and requires self assembly, instuctions and fittings are included.